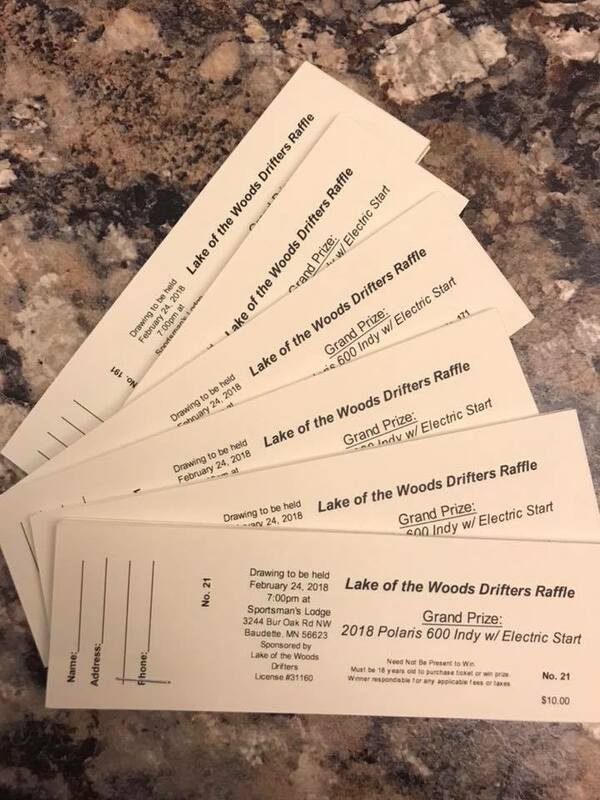 If you haven't already please remember to pick up a raffle ticket for a 2018 Polaris Snowmobile! Drawing will be held at Sportsmans Lodge on Feburary 24th at 7:00pm! Need not be present to win.